High-altitude protection. 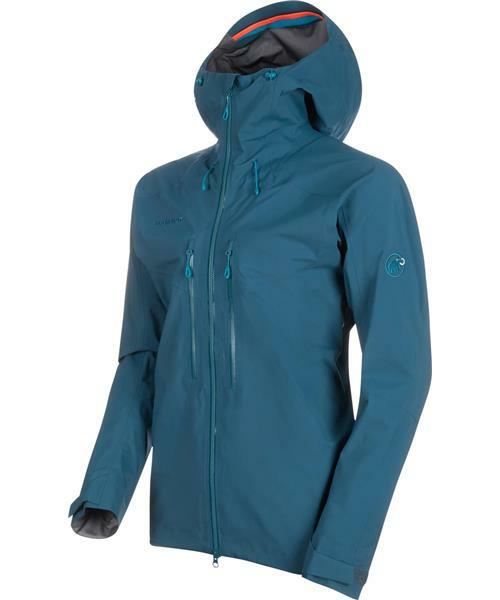 The Meron HS Hooded Jacket is made for demanding high-alpine use. Its 3-layer GORE-TEX® Pro material guarantees absolute weather protection and durability. The special climbing cut provided by the Mammut® High Reach Technology™ offers unrestricted freedom of movement when reaching upwards. The stormproof, helmet-compatible hood features a reinforced visor to ensure your field of vision remains unrestricted. The perfect choice for tours with extreme weather conditions and demanding routes.